It’ 11pm and I’m just now forcing myself to quit working, have a beer (Hatch Plug Ale, brewed in Oxford, CT), and cozy up with my Google reader. I suppose that’s what I get for being a grad student. C’est la vie. Anyway, this is all I’ve got for you tonight people…. 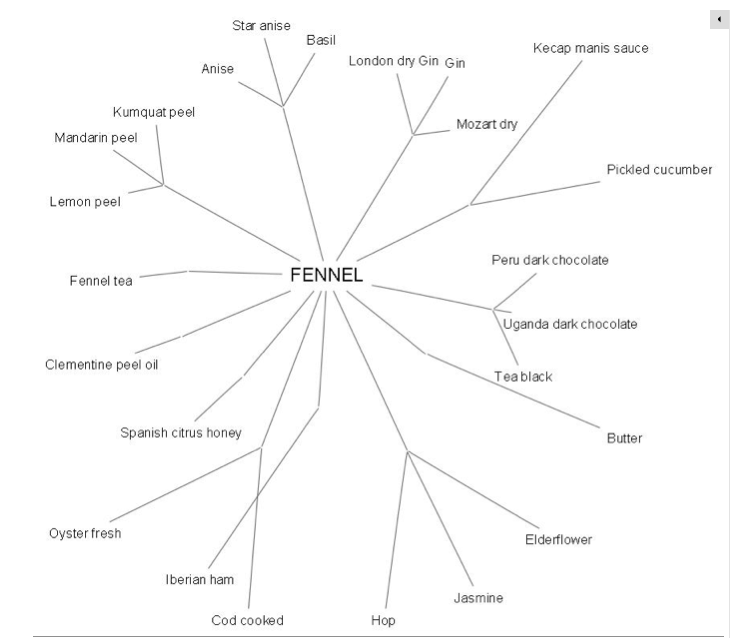 Wondering what pairs well with fennel? I am. Luckily those savvy palates at foodpairing.be figured it out for me. *Hearts* You guys are the best. Check it out next time you’re in the midst of a pairing conundrum or inspired to create something new! Entry filed under: How To, Miscellaneous. Tags: Food Pairing, Hatch Plug Ale.